BBQ in style in this modern alfresco area in Mount Pleasant. Wine fridge, sink and dishwasher make entertaining easy. 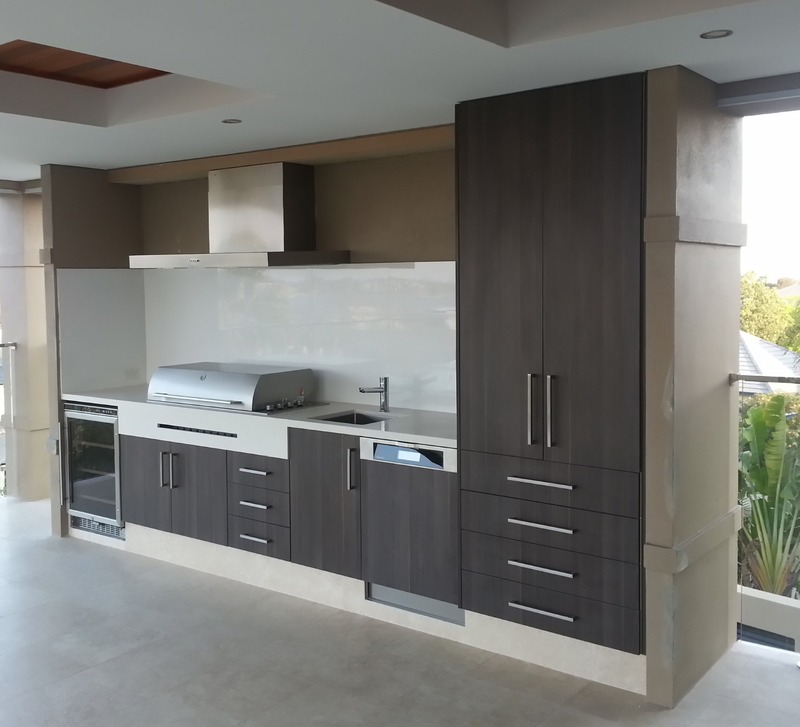 The bench top is Caesarstone “Buttermilk” and the doors and drawers are walnut timber veneer. 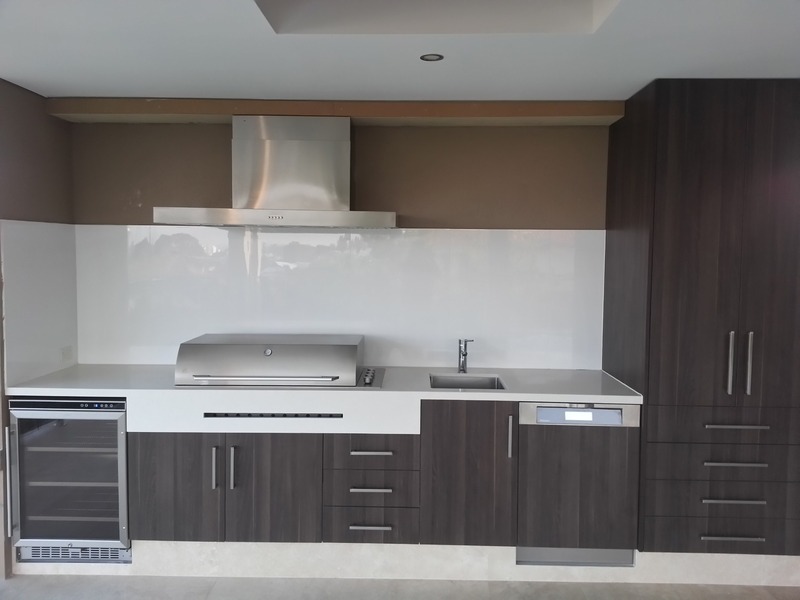 The white glass splashback makes it easy to clean.